Japan and China are equally fascinating to visitors from the West, as the culture here is so different from everything we know. These fast-paced nations are equal parts ancient and modern, with ornate temples inhabiting the same block as shops selling futuristic technology and robe-clad monks checking their smartphones on public transport. If you are looking for an adventure that will take you out of your comfort zone and will expose you to something exciting, new and different, Japan and China are the ideal destination. You’ll have so many opportunities to sample new and exciting cuisine, see centuries old ancient wonders, admire impressive modern technology, learn about complex traditional cultural rituals and so much more. 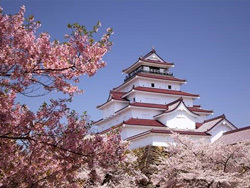 To find out more about our tour experiences in Japan and China, please contact us today. 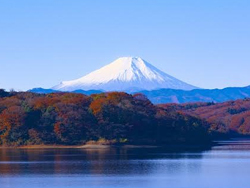 Japan has four distinct seasons and the best times to visit are the late spring (from March to May) and the late autumn (from September to November). During this time the weather will be pleasant, there will be little rain and the skies will be clear. In the spring you can enjoy the lovely cherry blossoms and in the autumn the leaves turn a stunning array of colours. When it comes to visiting China, most say that the best time is in the early Autumn, such as in October. During this time the weather will be warm and dry but the tourist attractions will not be too crowded. Also, the fall foliage will make exploring nature even more spectacular. Avoid visiting during the summer months of June and August, which is the hottest and busiest time. Walk along the top of the Great Wall of China, admiring this monumental feat of construction. Taste Peking Duck in Beijing, dim sum in Hong Kong, sushi in Tokyo and Buddhist vegetarian cuisine in Kyoto. 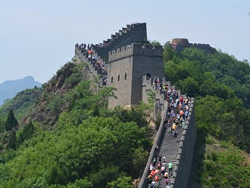 Take a walk along the legendary 2000 year old Great Wall in China, one of the most significant and impressive monuments of Chinese civilisation. Take a cruise down the Yangtze River on a luxurious cruise ship and enjoy modern facilities and delicious food. Admire the incredible Terracotta Army at Xi’an, a collection of more than 8,000 individually carved sculptures depicting soldiers, horses and chariots that were created and buried with First Emperor of China Qin Shi Huang to accompany him in death. Then, get a taste of the fantastic shopping of modern China at the gleaming shopping malls of Hong Kong. Escape from the hustle and bustle of Tokyo at the Meiji Shrine, which feels like a forest retreat in the middle of the city. Visit the strange and fascinating “Cat Island” of Tashirojima in Japan, where cats outnumber people and are thought to bring luck and good fortune. Soak in the soothing waters of a Japanese onsen – a relaxing hot thermal bath. Experience the excitement and energy of an authentic sumo wrestling tournament. Check out the impressive Osaka Aquarium, which was voted the best aquarium in Asia on Tripadvisor. Don’t miss Nara Park, which is home to the famous Todaiji temple but is also well known for the many thousands of deer that wander freely throughout the grounds. Also, check out the Jigokudani Monkey Park in Nagano, a stunning natural geothermal pool surrounded by icy mountains where Japanese macaques (aka snow monkeys) lounge in a very human-like way in the steaming waters. No matter what you want to do on your adventure in Japan and China, we can arrange the trip of a lifetime for you. Our packages are all inclusive, so every detail is taken care of and any experience you want to have while travelling in Japan and China can be easily arranged – just let us know! 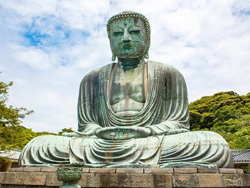 Japan has a high quality health care system but the medical fees can be high, so it is important to make sure that you have good travel insurance for your trip. The food hygiene standards and high and the water from the tap is safe to drink. Petty crime is quite rare in Japan, but it is still a good idea to be aware of your possessions as you would in any destination. In China the main concern is scams, as there are many businesses that attempt to sell counterfeit brand name items. When you see a brand name luxury item for sale, be aware that it might not be authentic. Another major danger in China is traffic, as the roads can be very busy and the motorist don’t always follow the rules. Don’t expect cars to stop for you at intersections and be very careful when crossing the street. 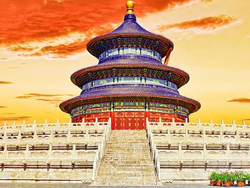 Our Japan and China tour experiences will offer you an experience of a lifetime. To learn more about Japan and China and to book one of our fantastic tour experiences, please contact us today.